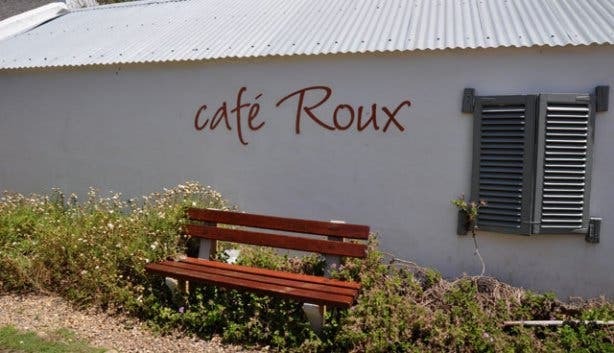 Café Roux is the relaxed, family focussed café style restaurant which is so central to the Noordhoek Farm Village atmosphere. 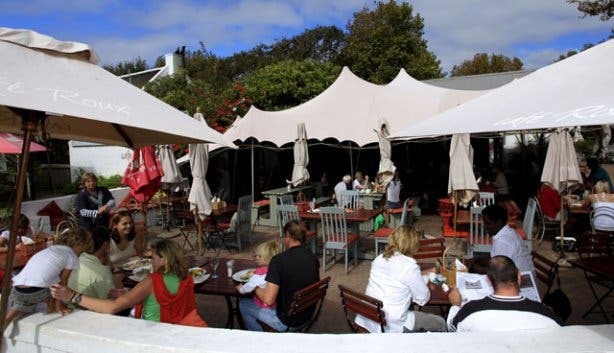 As a family run restaurant they put an enormous emphasis on children, which shines through in their kiddies menu and the kids’ parties they often host here. 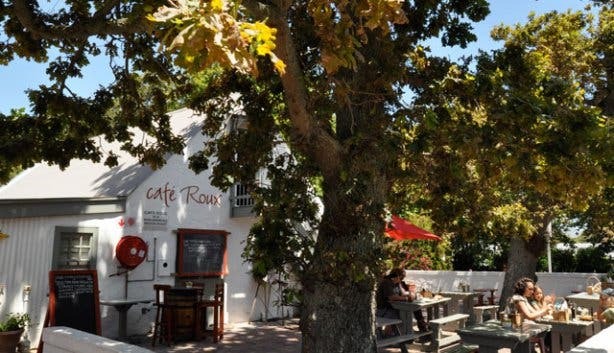 Husband and wife Paul and Bern le Roux, as well as sister Lindi le Roux agree: “We wanted to create a special place where we could sit outside in the sun with our family and friends, eating great food, drinking our favourite wine. Simply enjoying life..."
A Bedouin tent spreads out over an outdoor area for some shade in summer – great for breakfasts or long lazy lunches, while still keeping one eye on the kids playing on the lawn under the oak trees, or in the playground. There’s also an indoor area with fireplace for winter and a small bar area. 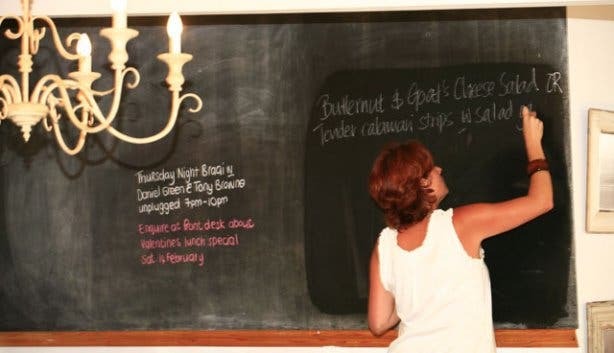 The cuisine is South African with a twist. 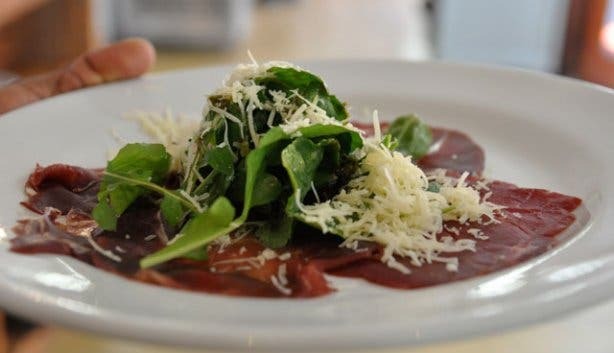 Expect from Springbok carpaccio to Durban curries and Asian beef salad. The burger is a local favourite, all home made from the patty to the relish. Bobby Skinstad, who is involved with The Toad sports pub next door, says: “the Earl’s all-day breakfast is a serious favourite of mine. 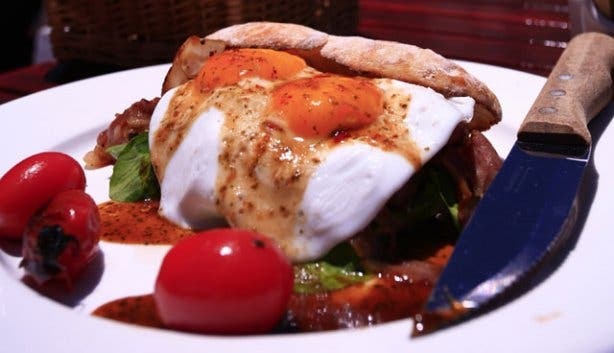 I will go there especially for it.” It’s a breakfast sandwich made with toasted ciabatta, eggs, bacon, pork sausage and rocket with a mildly spiced Asian sauce. Worth a try indeed; especially with some speciality coffees or a smoothie on the side. They also actually have a pets menu as animals welcome as well. It is not uncommon to see Lindi’s dog with a sign saying “please don’t feed me I am on diet”. 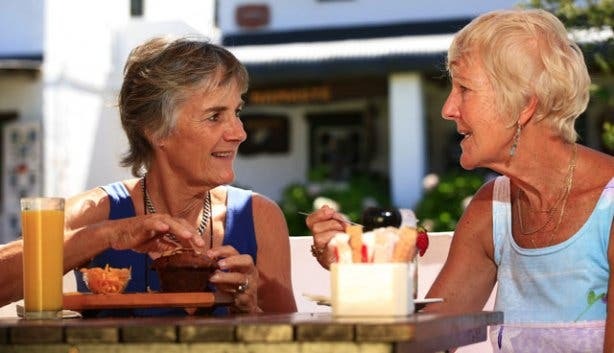 Miniature horses, parrots and other pets are often seen hanging out with their owners at Café Roux. It’s an easy going spot, all about good values, good food and good times. 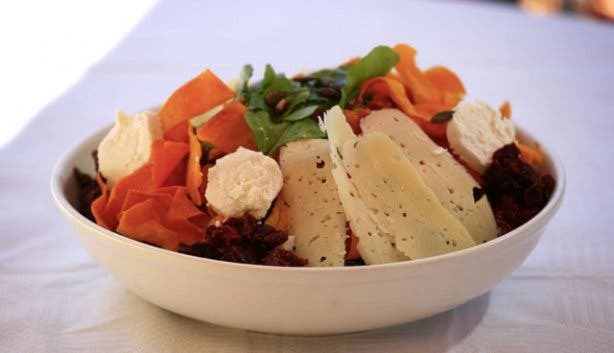 Come to Café Roux simply to unwind and indulge yourself. 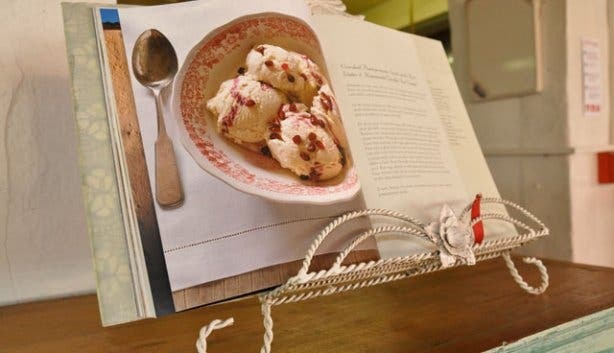 Maybe, just maybe, you’ll find yourself picking up a copy of Bernadette’s cookbook ‘Prickly Pears and Pomegranates’, just to make sure you take some of the goodness home. 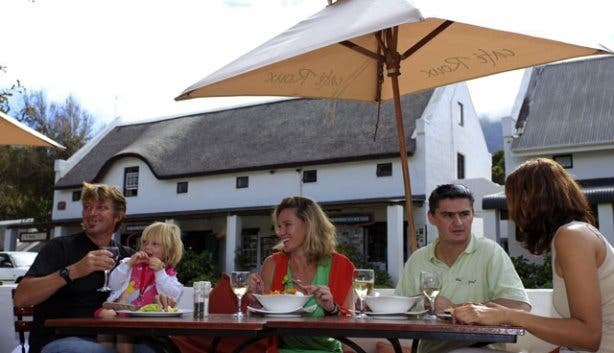 Open 7 days a week 08h30 – 17h30 in summer and 09h00 – 17h00 in winter. Stones fans are in for a treat at Gimme Shelter: A Night of Rolling Stones Music.